Century Cycles Blog: Bike Night at The Burntwood Tavern of Rocky River! Bike Night at The Burntwood Tavern of Rocky River! 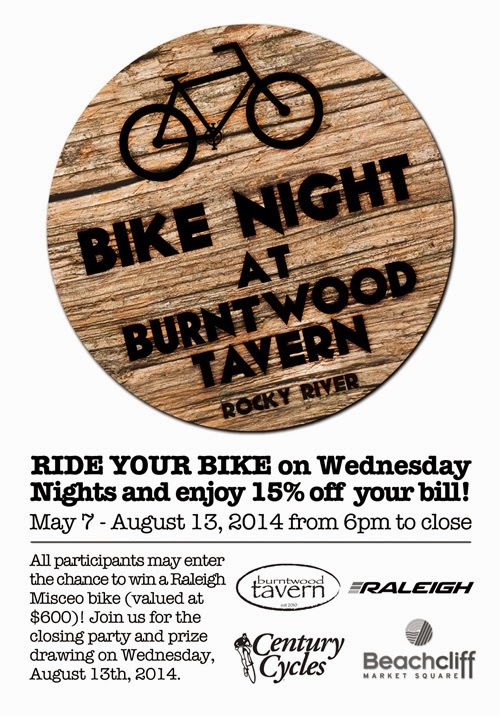 Ride your bicycle to The Burntwood Tavern of Rocky River on Wednesday nights, May 7 through August 13, 2014, and enjoy 15% off your bill! 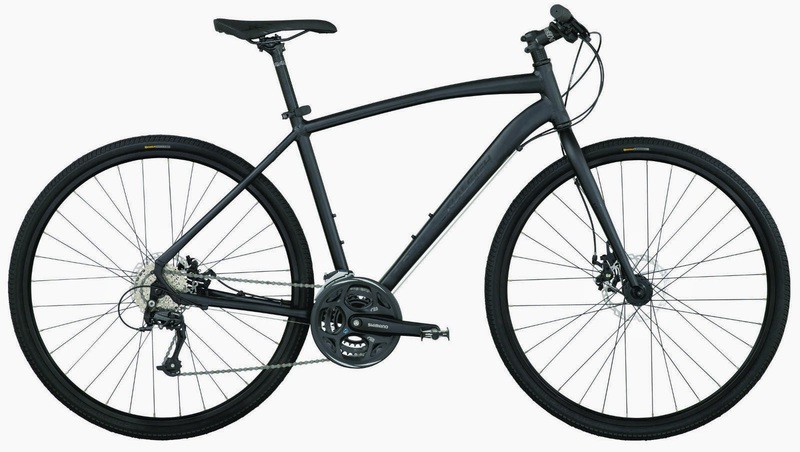 All participants may enter for a chance to win a Raleigh Misceo bike (valued at $600)! Join us for the closing party and prize drawing on Wednesday, August 13, 2014. The Burntwood Tavern is located in the Beachcliff Market Square at 19304 Detroit Road, Rocky River, Ohio 44116.